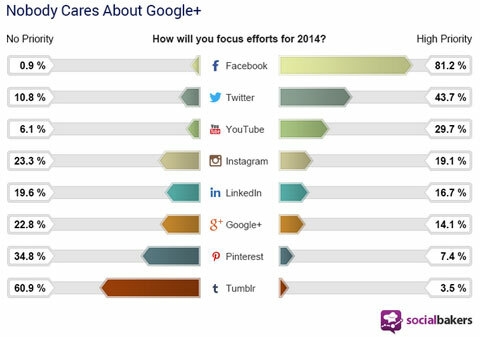 Which platforms are most relevant to social media marketing right now? Marketers need to know where (and how) they should focus their efforts for maximum ROI. This article gives you four major research findings from reports tracking trends in social media marketing and the content that works best on each. Is social media not working for you? Are you struggling to form a social media connection with your audience? Have you found that the recommended “getting started” tips and tricks for social campaigns just haven't resonated with your followers? The truth is, while there are plenty of audiences that respond well to social media marketing attempts, there are others that don't for a number of different reasons. In this article you'll find out how to recognize the variables that could result in an audience-marketer mismatch and how to work around them. The social media landscape is evolving rapidly, and therefore, your social media marketing strategy cannot remain static. Instead, it's important to reevaluate business goals, social media campaigns, platform results and revise your strategy at least once a year -- if not quarterly. Full story : Jayson DeMers -- Entrepreneur Media, Inc.
Over the past 30 years or so , there have been several waves of technological change in the library world. First was the replacement of the card-based catalog and circulation system with the integrated library system (ILS). Second was the replacement of paper journals with electronic databases. Third was the adoption of the PC. Fourth was the rise of the World Wide Web. Ever since Twitter and Facebook debuted their feeds in 2006, the model of continually streaming updates has come to define how we consume information. We've grown accustomed to a world in which data flows by us, letting us dip into the stream whenever, wherever, and however we want. But feeds have really taken off in the mobile era, with hundreds of apps overcoming the limitations of the small screen by presenting information as a swipeable stream. To Facebook CEO Mark Zuckerberg, it's obvious: “Every new product that wants to build engagement bases its design on feeds.” And no one has mastered the art of feed design like Twitter and Facebook. Both companies have endlessly experimented, devising techniques to deliver the stories and updates users care about—and avoid overwhelming them with noise. The result is a series of computations that are as crucial to the information industry as Google's search algorithm. Here's a peek under the hood at what went into building Twitter's and Facebook's feeds—and how they keep you glued to the screen. Like many millennials today, Yale classmates Henry Luce and Briton Hadden left their jobs to create a startup. They found newspapers dry, longwinded and boring and thought they could do better by presenting stories in a faster paced, more personality centered format. In 1923 they launched Time magazine and it became a runaway success. Video podcasts and v-logs are soaring in popularity. Whether it's Skype, Google + Hangouts, You Tube, or other more sophisticated (or unsophisticated) platforms, they are a great way to gather and connect around a popular subject. In order for your homemade webinars, video chats, or video blogs to look and sound inviting, there are three essential podcast tools you should invest in. Thankfully, none of them are very expensive, but will add a professional look and feel to your webcam productions. In the same way you build and guard your brand (personal or company) online, a poorly produced podcast can make you look unprofessional and disinterested in your audience. Worse, it can just plain turn people off. Just like running across something very annoying on television, people won't stick around to hear all the good things you have to say.